Indonesia running high on Asiad success, but can it host the Olympics? At odds over trade, technology and geopolitics, the US and China do share one thing: They both “hate” doping, in the words of Chinese President Xi Jinping. Ahead of the 2022 Winter Olympics in Beijing, China reportedly plans to make the practice a crime. And last week in Washington, DC, a bipartisan group of House and Senate lawmakers also introduced legislation to criminalize the use of performance-enhancing drugs at international sporting competitions such as the Olympics. 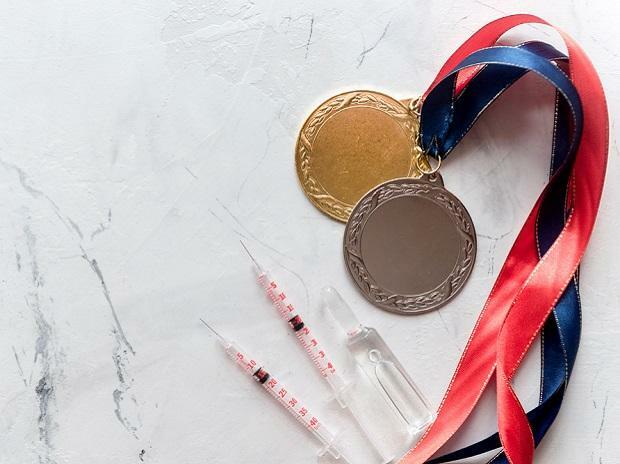 Athletes caught doping could be subject to five years in prison, a $250,000 fine and a civil lawsuit from competitors bested in the final standings. They wouldn’t have to be US citizens, either. The legislation is specifically designed to hold accountable foreign cheats who beat American athletes in international competition. The idea isn’t a new one. In recent years, several European countries have also either adopted laws that criminalize doping within their borders or are considering them. Yet, so far at least, there’s no evidence that such laws work to reduce doping — and ample reason to suspect they’ll make the problem worse. The urge for countries to take matters into their own hands is understandable. The World Anti-Doping Agency says that less than 2 per cent of its doping tests turn up positive. Yet, in 2011, elite athletes at two international track events self-reported to the organization that 29 per cent and 45 per cent of them, respectively, had doped within the previous year. Even when caught, as Russia was for running a state-run doping program targeted at earning medals at the 2014 Sochi Olympics, punishments have been relatively light. The International Olympic Committee allowed Russia to participate in the 2018 Winter Olympics (under a neutral flag) and, last year, WADA reinstated Russia’s disgraced and uncompliant anti-doping agency. There are, however, two main problems with laws such as the Rodchenkov Act (named after the Russian whistleblower who revealed the 2014 Olympics cheating) that Congress is now considering. The first is the limited scope of the bill. Rather than criminalize doping by athletes competing within US borders, the bill focuses on athletes from any countries competing in “major international competitions.” While such competitions, from the Olympics to the Biathlon World Cup, are certainly hotbeds for doping, American professional sports also have a long, extensive and very-up-to-date history of such scandals. The hypocrisy has not gone unnoticed in the international sporting community. Last year, shortly after an earlier version of the Rodchenkov Act was introduced, the IOC responded by expressing concern at the “low level of testing currently taking place in these professional leagues.” If the US wants to criminally prosecute middle-class Russian speedskaters, it had better be prepared to explain why it’s leaving Major League Baseball to police its multi-millionaire athletes without oversight. The second and more troubling problem with the Rodchenkov Act is that criminalization will slow down the investigation and punishment of doping. Currently, WADA has a policy of strict liability regarding any positive test, noting that “intent, fault, negligence or knowing Use on the Athlete’s part” are unnecessary to proving a doping violation. Fair or not — and the literature on and instances of accidentally ingesting performance-enhancing drugs is extensive — that form of liability speeds up the investigative and punishment process. The British also noted that professional and amateur federations and leagues tend to defer to prosecutors rather than pursue their own investigations and punishments in criminal matters. If that’s true, the Rodchenkov Act will just end up slowing the wheels of justice in the highest-profile doping cases. That’s the wrong medicine. If Congress is really serious about having a role in this issue, it needs to start by ensuring that US professional leagues are being tested and governed by the same standards by which it expects international competitors to abide. Then Congress, amateur athletic federations and their corporate sponsors should work to ensure that those best practices are adopted by WADA and national anti-doping agencies. Where funding is a problem, corporate sponsors of amateur and professional athletics in the US should be encouraged to fill the gap. No single solution can end the doping problem internationally, but big countries such as the US and China should at least try to set the right example.